Captain America is back! (Did you know he left?) 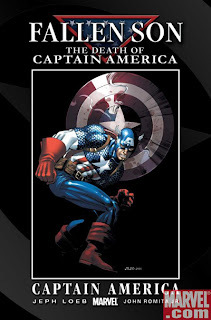 Surrounded by a bit of controversy (among those who care about such things), the original Captian America (Steve Rogers) died some time ago in CAPTAIN AMERICA #25 . This past Wednesday (January 30th) a new Cap– a new guy in a new outfit, and carrying a gun, incidentally– finally hit the shelves! Now you’re curious, aren’t you? Check out details, the press, and read issue #25 on-line for free until February 11th by clicking here.